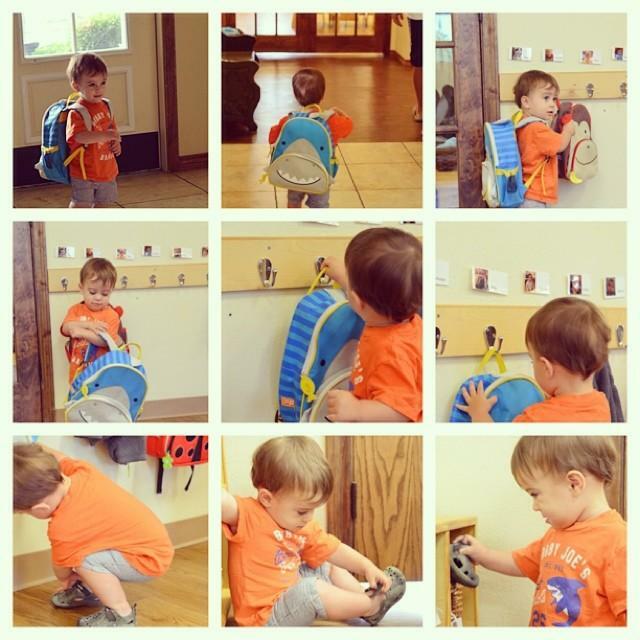 The Infant Community at Healthy Beginnings Montessori House is affectionately referred to as the Raspberry Room. 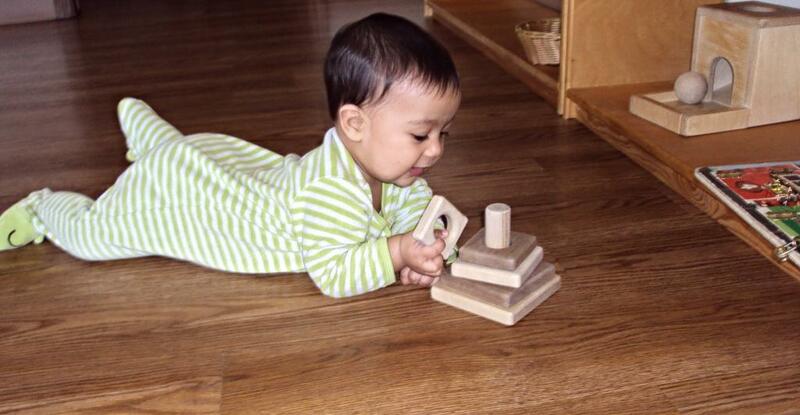 Like all of HBMH’s classrooms, our Nido environment is rooted in the educational philosophy of Maria Montessori. In fact, the word Nido comes from the Italian word “nest” and is meant to convey the warmth and security of a home. Through the environment’s simplicity and order the room is safe, secure, stimulating, and most importantly full of love. The preparedness of the teachers allow students to learn at their own pace, using their senses to explore and discover the world. Ready to begin my day! A successful morning requires a routine. I walk to my classroom, hang up my backpack, and take off my shoes one at a time, with little adult intervention. This gives me the freedome to enhance my independence and start my day at my own pace. What’s up with the Floor Bed? 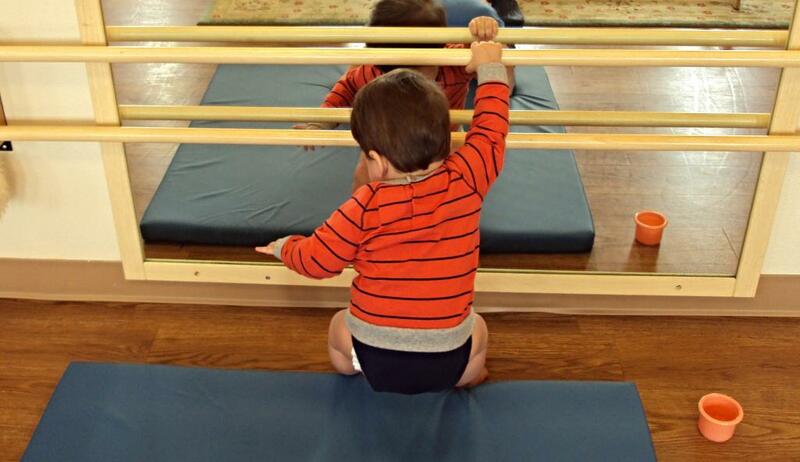 It is very common for traditional day care settings to have cribs (along with many other obstructions that prevent a child’s movement), while on the other hand, our Montessori Nido has floor beds. 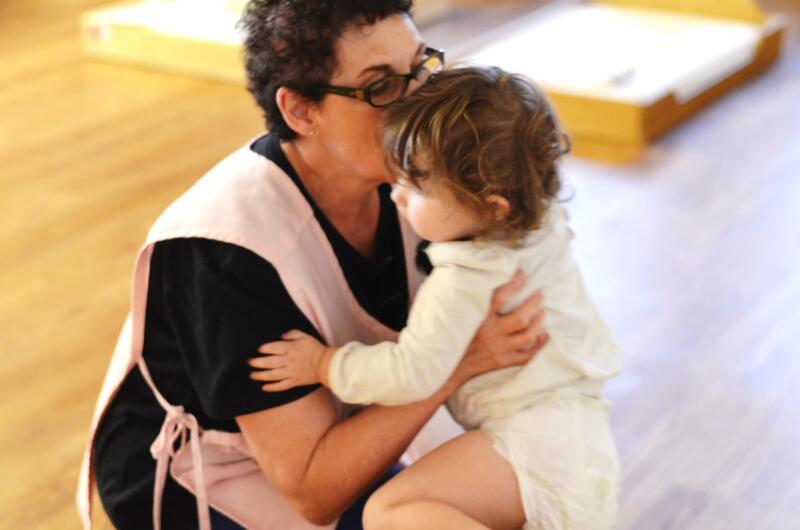 We provide the babies in our care with a safe and comforting beginning in a serene and nurturing infant community. They are respected and loved as we convey a message of unconditional acceptance. Trust is cultivated by experienced and trained adults through soothing engagement. Our hand-made floor beds are made from oak wood and include a firm, comfortable mattress. 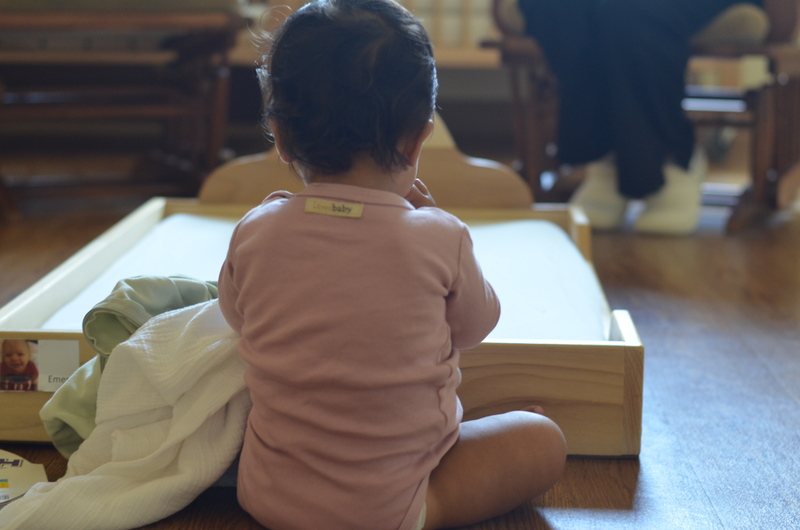 These beds provide the infant with an “internal map”, as they learn to familiarize themselves with surrounding objects, by using their bed as a point of reference. “From the first day the child joins our community they will be placed in a bed that allows unrestricted view of the environment with enough room for them to move. 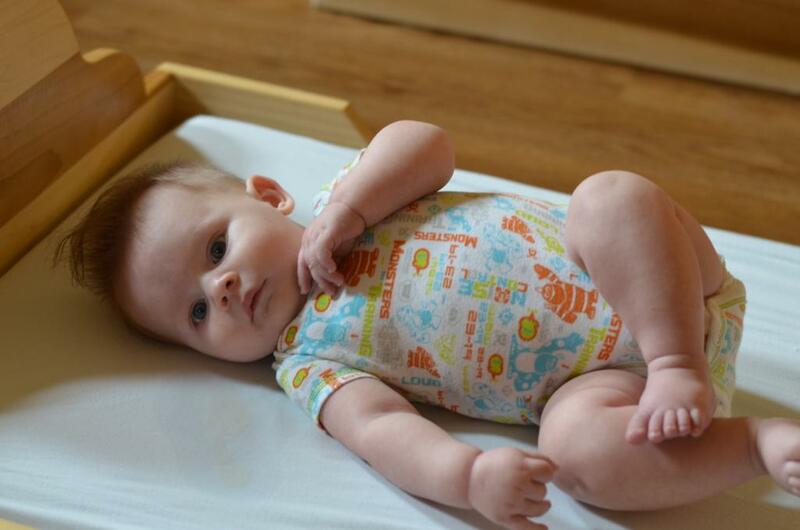 I understand, from birth the infant moves in a rotating, circular motion and stretches limbs. When the baby reaches the edge of the bed the child senses this and stops naturally. 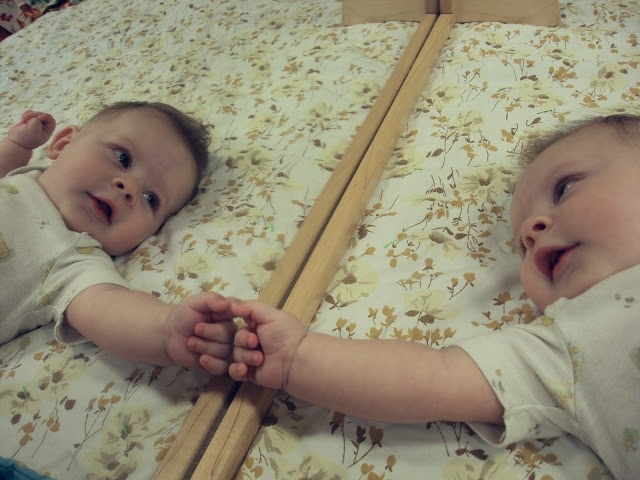 When the baby does leave the bed, it is because of the desire to do so and because she has the necessary motor skills. 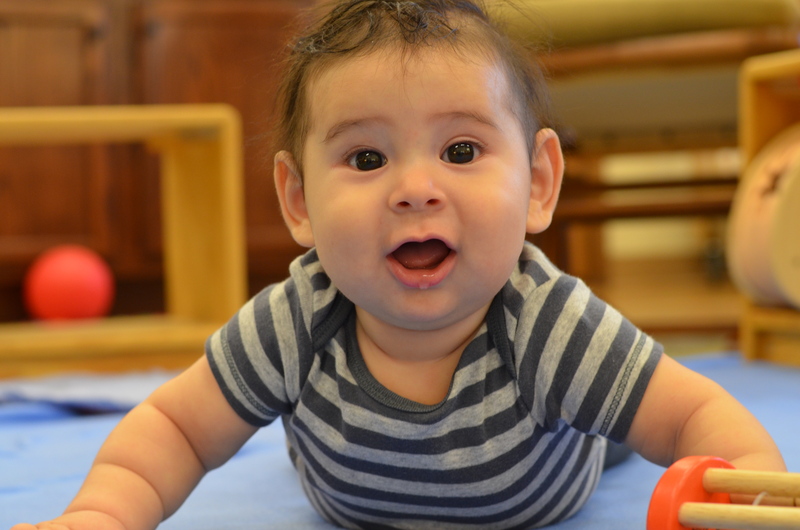 The bed is the most important tool we can provide for the infant and later the growing child. This bed allows for movement such as slithering, from the first day. This first phylogenic movement is associated with the reptilian stage of movement. 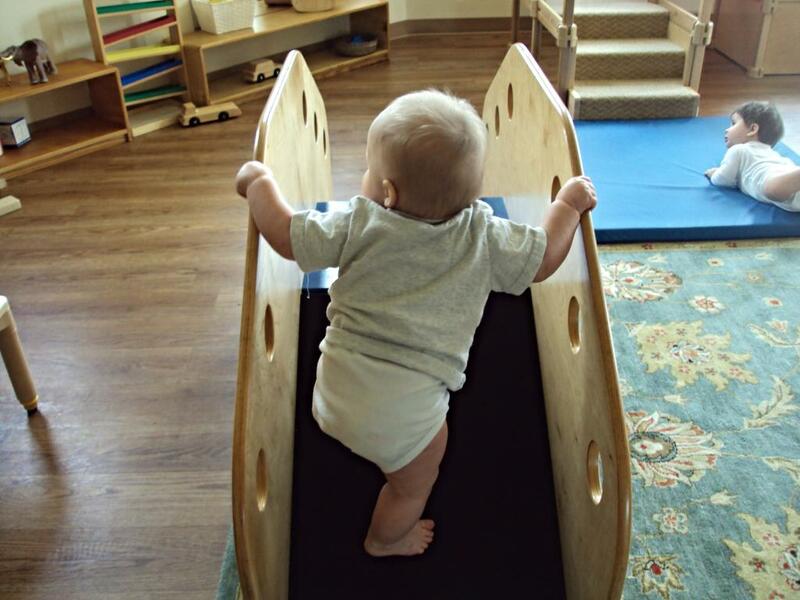 This type of movement and development is encouraged through unrestricted movement, the passage to crawling or mammalian movement will be aided. I’m given the opportunity to wake up naturally, in my own time, and move about the environment when I am ready. Carefully, I step off of my bed and continue with my day, free from unnecessary adult interaction. I’m given the love and attention that I need all throughout my day, in a prepared, nurturing environment, suitable to all of my needs. “Generally speaking the bed prepared for a newborn is inappropriate because it is small and surrounded by rails or other materials which interfere with free vision of the environment. The newborn is very attentive and capable of concentration. He needs to be able to practice focusing the eyes on objects in the room without being disrupted by the presence of bed rails…There is no need for any expensive equipment but only for “prepared persons” who understand what a newborn is and with intelligent love, offer valuable experiences to children…this is the significance of education as an “aid to life“. 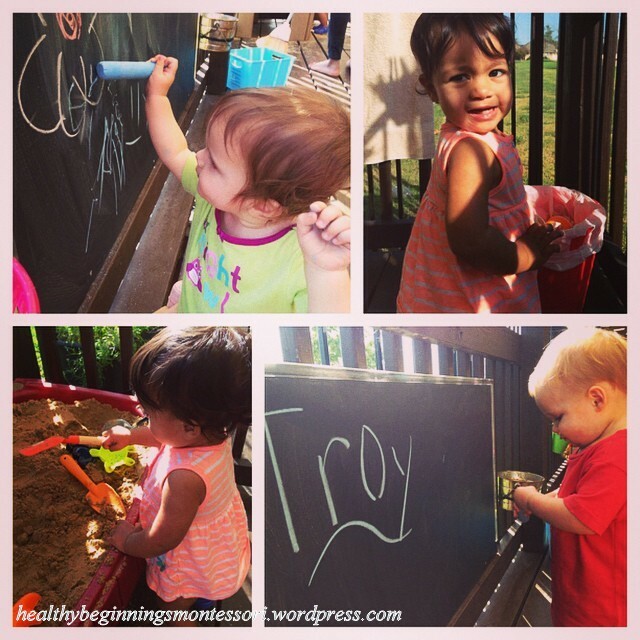 Some of our youngest friends enjoying a warm afternoon outside. Thank you Ms. Hayley for preparing our outdoor porch!